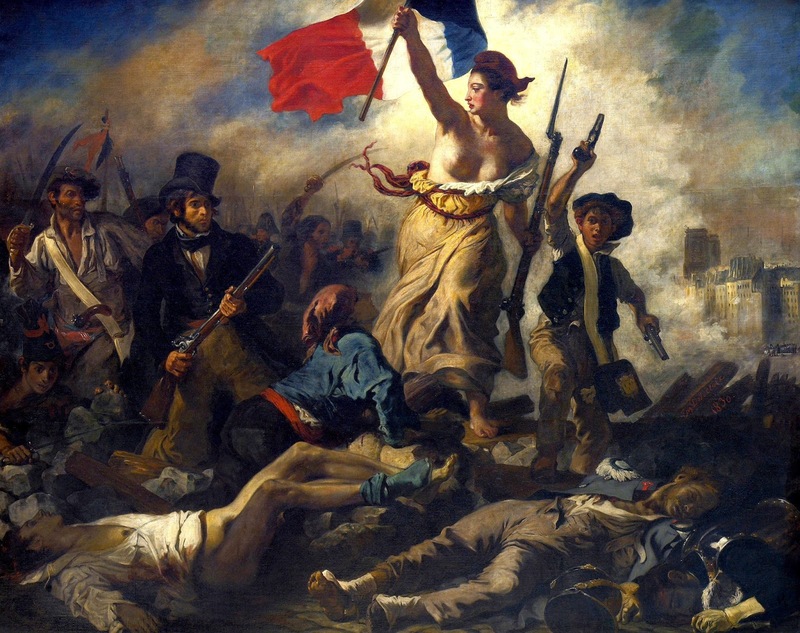 There are many forms an LMS revolution might take, but I'm just going to talk about one - creating a student-centered LMS. As I've mentioned (harped on?) before, the standard LMS model is centered around the course or the class. One other fairly obvious alternative is to build the LMS around learning materials - but I don't find this all that interesting because you end up with something that looks like a Content Management System. CMS's are great but I don't see them as an LMS replacement. Many of our learning institutions claim to be student- or learner-centric. Nearly everyone on my campus can quote the first words of our mission statement: "Placing students at the center of the educational experience..." And much of the time, we take that seriously. What would a student-centric LMS look like? It's a non-trivial design problem, but here's a few high-level thoughts. In a student-centric LMS, the core abstraction of the LMS is the student. 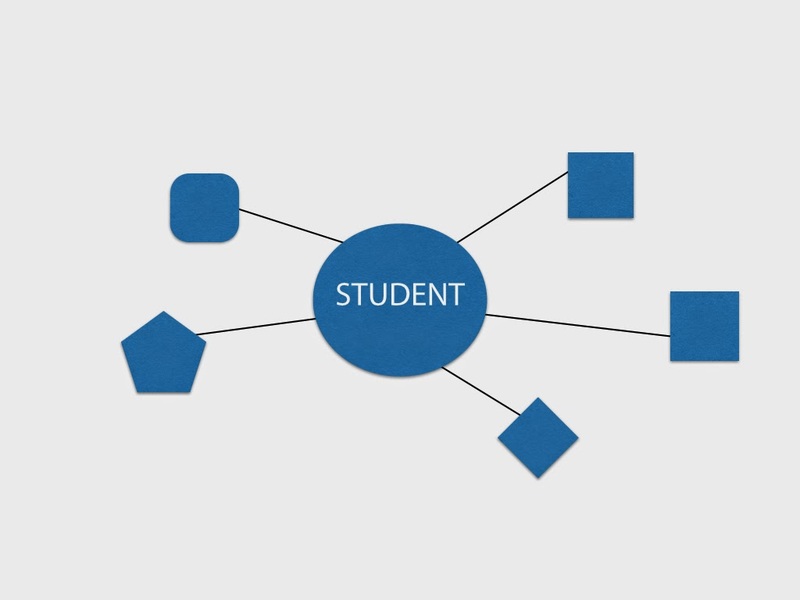 In the diagram, I'm imagining a student with control of connections to other entities within the system. These could be instructors, or other students, or learning materials. To create a course, you invite students to connect with a common set of resources, one or more instructors, and the other students in the course. When the course is complete, the student can drop the connections she doesn't need any more - but keep the rest. As the educational experience proceeds, the student collects, under her control, the connections that remain meaningful and useful and drops the ones that are stale or irrelevant. Furthermore, these resources could be local and within the LMS, or they could be external to the LMS or to the student's current institution. If you start building the LMS from this perspective, you end up with something like the diagram on the right. I've just added a few connections to give a sense of where I'm going. Students can connect to students and to resources. Instructors would just be another kind of student, ones with perhaps some special abilities (like assigning grades). The model is simple, but the change is important - if we build the LMS from the bottom up as a tool that connects students and resources rather than a tool that replicates the notion of a closed course, we'll get a system that's quite different from what we have now. 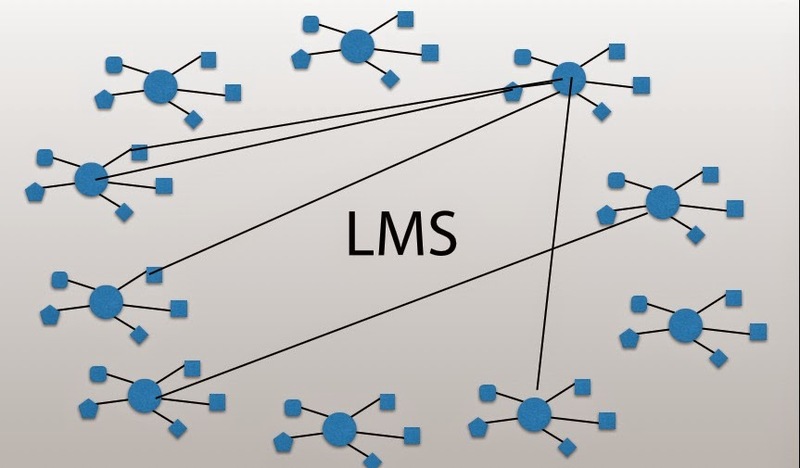 But once I envisioned this model I started to question whether the LMS as a system really offers any value. Perhaps, if we created technology to support learner -to-learner interaction, we're on the road to not needing an LMS. And perhaps, this isn't really something new at all but a return to models familiar to the history of the Internet. YES!!! Exactly!!!! In a sense, this is already within our power by encouraging students to use tools to build their own online presence in a course and to create/control/share their own content. So, your post comes at just the moment when I am revamping/expanding the Tech Tips for my students, making sure they will feel comfortable and confident blogging their class assignments, creating a website for their class project, perhaps opting to use Twitter and/or Pinterest to connect in other ways with members of the class, sharing class content that way... and on and on. Does Desire2Learn help me to do any of that? Nope, none of it. But thank goodness for all the great tools we can use. When I first started teaching online in 2002, it was a struggle just to help students figure out how to publish their websites online (but we did it... thanks to Netscape Composer and the 3MB of webspace provided for students at my school). So, when I think about my "class," what I see is what the students are doing: the websites they are creating, the content they are sharing in their blogs (and, this semester, via Twitter and Pinterest also)... THAT is the class. My role is just to make all that happen, providing a structure, tips, encouragement (LOTS of encouragement). A class in D2L does not even look like a class to me. Where are the students? The discussion board just does not work for me, exactly because it is not student-centered. Giving up discussion boards for blogs (which I did years and years ago) was one of the key steps in making my classes student-centric. For discussions, we need STUDENT-CENTERED discussions, something more like Google+ (where I participate in great discussions all the time)... not the clunky nightmare that is the typical LMS discussion forum. Bring on the snowball I say!!! The user, groups, and roles structure in Apereo OAE actually look a lot like this. Michael, thanks for the tip, I'll be interested to take a look at it. As former student and founder a dutch startup - born out of frustration over issues like these, I can acknowledge the need for a more student-centric approach in the technology and education itself. With Projectcampus we are building an online learning environment specifically for project-based learning, which is already more student-centric by default (compared to exam or lecture-oriented courses). And because it is more student-centric, the typical LMS doesn't support it very well either. Yes, they have group support and discussion boards, but just like Laura Gibbs indicated, students and event teachers are not very impressed by their functionality as they are always behind on tools focused on just this. As a result, project-based education equals a lot of different tools outside of the LMS, many emails, paper and weekly meetings. With Projectcampus we try to solve this using interactive project pages (think blog or facebook page) where each student or team can easily collaborate and show their progress privacy friendly to their coaches/teachers, fellow students or even others. Project pages are connected to course pages (used to share/discuss course-related information). In addition, since the progress is 'connected' but not stored in the course (which is the case in most LMS), the projects can live on after the course finished. This also makes it easy to automatically build up a student project portfolio. We also agree that students and teachers should be helped to use their own tools by their university (instead of pushed back). However, we also believe that teachers and university should have some control and monitoring over the tools and some kind of middle ground for communication. We try to combine both these goals by connecting/integrating tools like Google Drive, Dropbox, Trello, Google Calendar and more. About where the LMS might go: We think they should become frameworks or foundations on top of which tools like Projectcampus can be built using LTI2 and other standards (xAPI). They keep doing what they did best: learning management and administration, storage of important data (which becomes an increasing issue if you use different cloud tools), only the student user sees nothing of this anymore. This is done by the tools on top of it. Hope this contributes to the discussion. If you are interested to have a look at Projectcampus let me know. We would love to have your input on it and whether it can be a fit in the US as well (we expect there to be less project-base education? ).